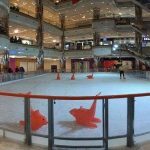 We have been operating Pop-up Ice Rinks since 2006, and this product offering remains the core business activity of Blue Martini Group. 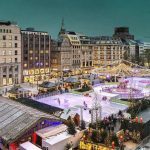 We consider ourselves subject matter experts on every aspect of what it takes to plan, promote and operate a seasonal Ice Rink in a retail environment. 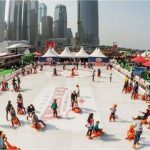 Over the years we have developed successful relationships with City & County Councils, Venue Partners and Sponsors in the United Kingdom and Republic of Ireland are we are proud to say that our supply chain uses the world’s most pre-eminent technical suppliers of core Ice Rink technology and supporting infrastructure. 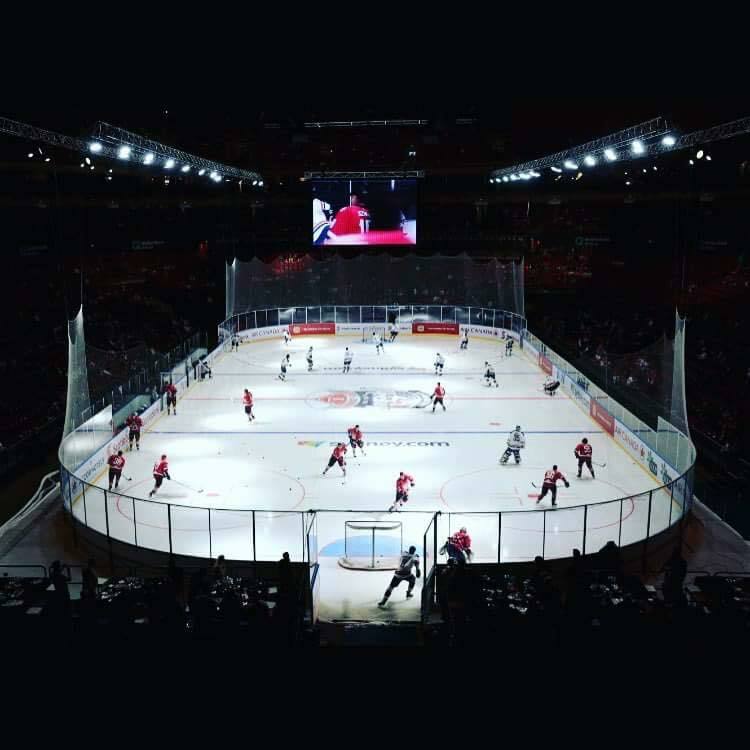 Blue Martini Group are UK and Ireland agents for Ice-World International who are world leaders in temporary ice rinks since 1992. 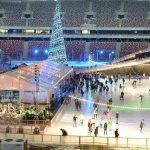 Ice-World have developed a fold out aluminium structure giving much faster installation times and reduced running costs. 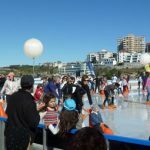 Rinks can be designed to suit a wide variety of layouts and locations and can operate at up to 30° ambient temperatures as at Bondi Beach in 2017. 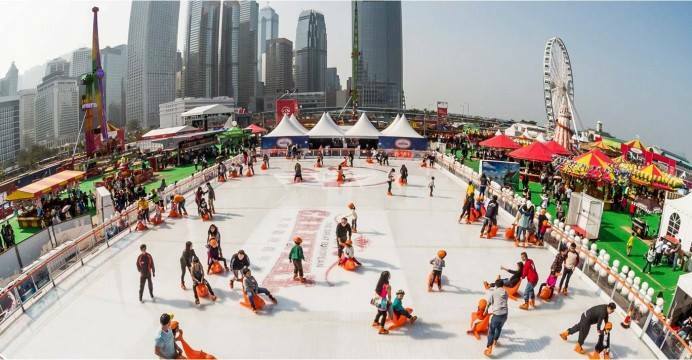 Through Ice-World we can also hire a full range of accessories such as Penguin and Seal skating aids, helmets, knee pads and curling stones. We also hire industry leading Aggreko chillers and generators (where required). 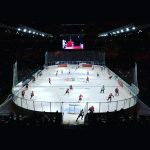 The Ice-World system delivers energy savings of up to 40% compared to similar rinks and Ice-World offsets 100% of its CO2 emissions by planting mangrove forests in Myanmar. Additionally, Ice-World uses alternative fuels such as soy biodiesel whenever possible, recycles all production materials and only works with environmentally-friendly refrigerants. The environmental management system is ISO 14001 certified. 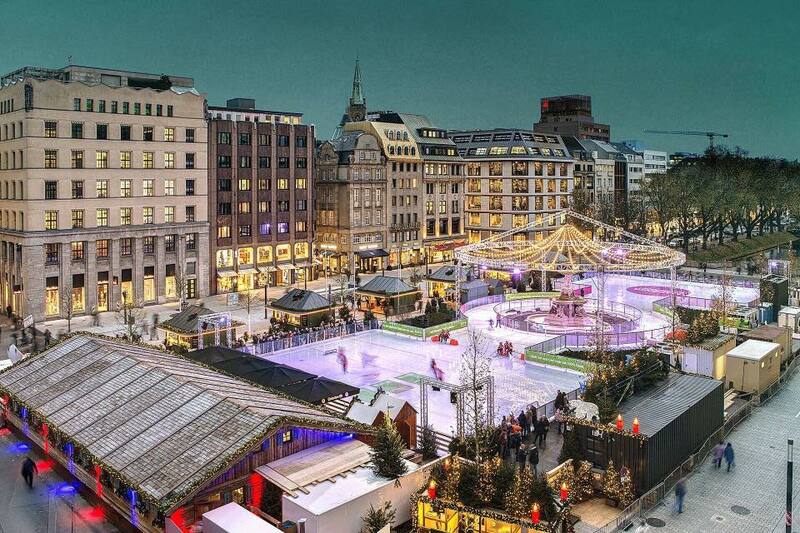 Seasonal ice rinks work best in locations with good transport links and existing food and retail outlets on site. 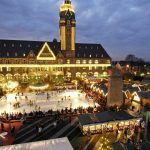 The set up costs are significant but they can be a major draw for teenagers, young adults and family groups during December. 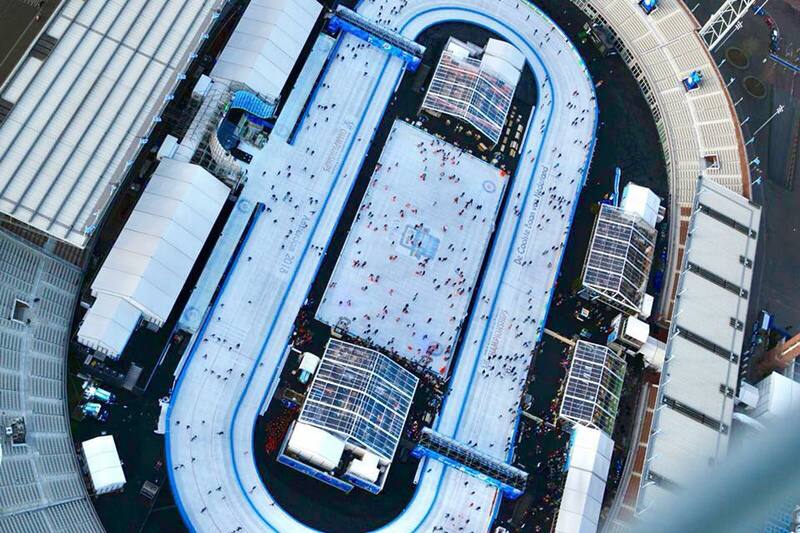 In Ireland rinks are almost always within a marquee whereas in the UK they are traditionally open air with only the skate exchange and box office under cover. 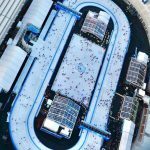 We can arrange for the design and supply of temporary structures to suit all likely venues. 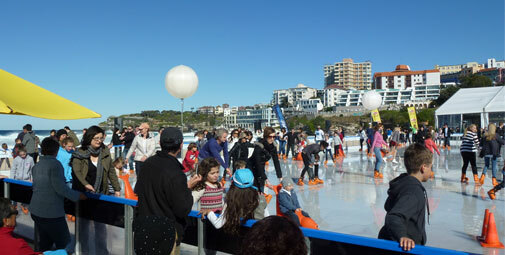 For more information please see the Ice-World FAQs. 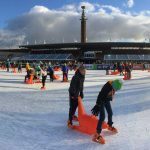 Some of our Blue Martini Pop-up Ice Rinks can be seen in our Portfolio page and there are photos of other Ice-World rinks in the gallery below or you can take a look at them on YouTube. 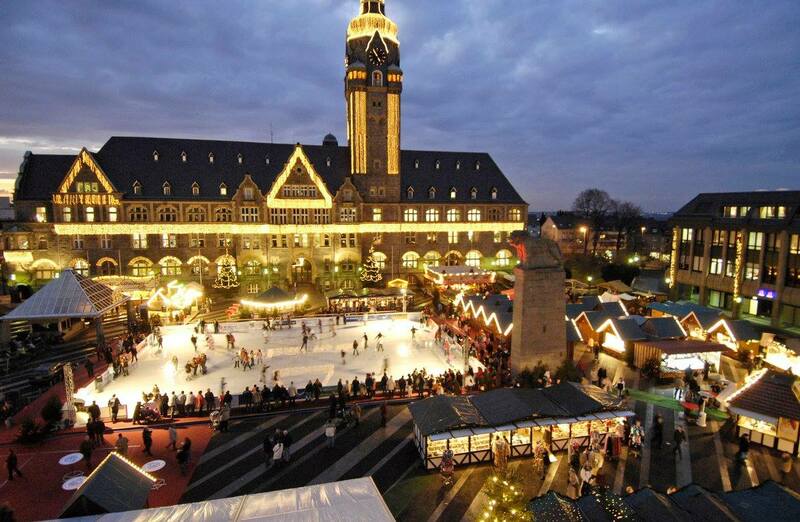 If you wish to make an enquiry regarding bringing an Ice Rink to your location, please contact us.